A very busy pub date! Part 1 for children – Joyce's mystery and fiction book reviews with some non-fiction too! I loved this book! The author speaks to the middle school reader without ever being condescending or talking down. When historical background is needed, it is simply included in the text. 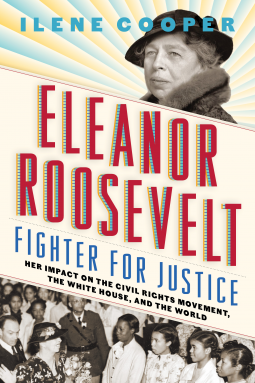 Eleanor Roosevelt comes alive with her bravery, deep desire to do right and also in her doubts and difficulties. The reader learns the basics of Eleanor’s biography; not being beautiful for her mother, having a father who was an alcoholic, being orphaned. There is an excellent chapter or Eleanor’s schooling in England and its impact on her. The joys and imperfections of her relationship with Franklin are acknowledged. The young reader learns of affairs but gently. The author shows the ways in which Eleanor’s consciousness was raised. She describes the prejudices with which Eleanor grew up and how she began to overcome them and fight for her beliefs. I have read a number of books on the Roosevelts so felt knowledgeable going in. Yet, I still learned a lot. Of note, too, are the illustrations which make historical personages real and present. I recommend this book highly for readers from middle school through adulthood. This is an inviting book for young readers (or those being read to) that adults will enjoy as well. Mini biographies of the well and not so well known are offered along with appealing illustrations, quotes from the personages and funny (at times) but always true award titles. 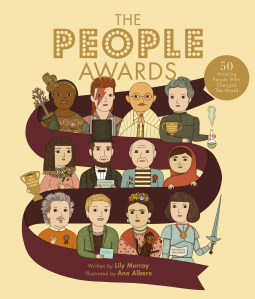 Some examples: The Bad-Tempered Musical Genius Award (Beethoven); The 1,279 Goals Award (Pele); The Most Loved Diary Award (Anne Frank); The Saving Lives Award (Pasteur); The One Voice Award (Malala Yousafzai) and many more. This book is inspiring and wide ranging. It will give children a sense that they can accomplish great things while enjoying the accomplishments of those who came before them. Highly recommended! Here is a picture book that will appeal to many children, especially those who have felt different for any reason. 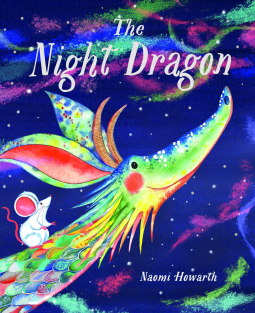 This short, whimsically illustrated, story is about Maud, who does not fit in with the other dragons but has one very loyal friend, a mouse. All of the other dragons are more darkly colored; they breathe soot into the skies to bring on darkness. However, when Maud needs to take on the job in an emergency situation, her breath matches her colorful appearance. So now you know know why it looks so pretty at sunset…share this knowledge with a child in your life!